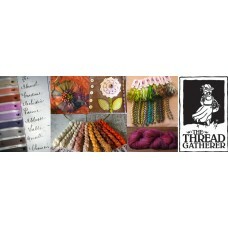 The Thread Gatherer has created Silk 'N Colours, a 12 ply, 100% silk thread. This thread likes to se..
Colour Chart will be available soon. If you know the number you require please enter it in the..